The Board of Ngā Whaea Atawhai o Aotearoa Tiaki Manatū shares in the responsibility of governing with the Sisters of Mercy across all of its entities in Health, Education, Community and Spirituality. Tony was elected as Parent Representative on the Carmel College Board of Trustees and later appointed Chairman. After that tenure he was appointed by the Sisters of Mercy Ministries New Zealand Trust to the Carmel College Auckland Ltd Board of Directors assuming Chairmanship in 1999. He retired from this Board after completing 15 years of continuous service in September 2013. 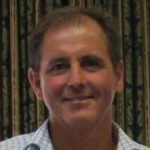 Tony Harkins was appointed to the Board of the Sisters of Mercy Ministries New Zealand Trust in August 2013. On the first of January 2015 Tony was appointed as the chair of Tiaki Manatū. Katrina Fabish was appointed as Congregation Leader of Ngā Whaea Atawhai o Aotearoa in 2014. Katrina’s background is in education as a teacher and in leadership. Since 1992 she has been engaged in Mission Development in Mercy ministries, including 11 years served in leadership and several years as congregation leader of what was then known as Sisters of Mercy Auckland. Katrina’s real passion lies in a vision of hope for the restoration and wellbeing of women and children and planet earth our shared home. She was a member of the foundation community, Mercy House, a refuge for women and children founded in 1990, a dreamer for what is now Te Waipuna Puawai Mercy Oasis (founding board chair) and the founder of Papatūānuku ki Taurangi Earth Promise – all creative ministries responding to the cry of the poor and marginalised in our time. Sue has taught English, French, Social Studies and Religious Education. She has a PhD in Pastoral Counselling from Loyola University in Baltimore, USA. Sue has worked as a psychotherapist at Marinoto Clinic and Specialists, Mercy Hospital, Dunedin. She has been on the Board of Directors for Mercy Hospital Dunedin and joined the Leadership Team of Ngā Whaea Atawhai o Aotearoa Tiaki Manatū in 2008. Doc Godfrey was commissioned as a director of the Tiaki Manatū Board in 2016. He is the General Manager of McAuley Trust, which is the central administration and asset owning entity for Ngā Whaea Atawhai o Aotearoa Sisters of Mercy New Zealand. Doc is a chartered accountant and holds an MBA from the highly respected University of Cape Town Graduate School of Business. Doc has held senior management roles in the property and financial services industries. Virginia joined the Board of Ngā Whaea Atawhai o Aotearoa Tiaki Manatū in 2008. She is also the Chairperson of Our Lady of Victories School Board of Trustees, the Director of the New Zealand Catholic Education Office Ltd and the Director of Villa Maria College Christchurch Ltd.
Lorraine has been the former Director of Archdiocesan Pastoral Services, Wellington, a past Principal of St Catherine’s College Wellington and is on the Board of Trustees for St Mary’s College Wellington. She joined the Board of Ngā Whaea Atawhai o Aotearoa Tiaki Manatū in 2008. Frank was a former Chief Executive of Diagnostic Medlab and retired after 40 years of service. He is a Director of Mercy Auckland Healthcare Ltd and as well as being a Board member of Ngā Whaea Atawhai o Aotearoa he is also the Chair of the McAuley Trust.